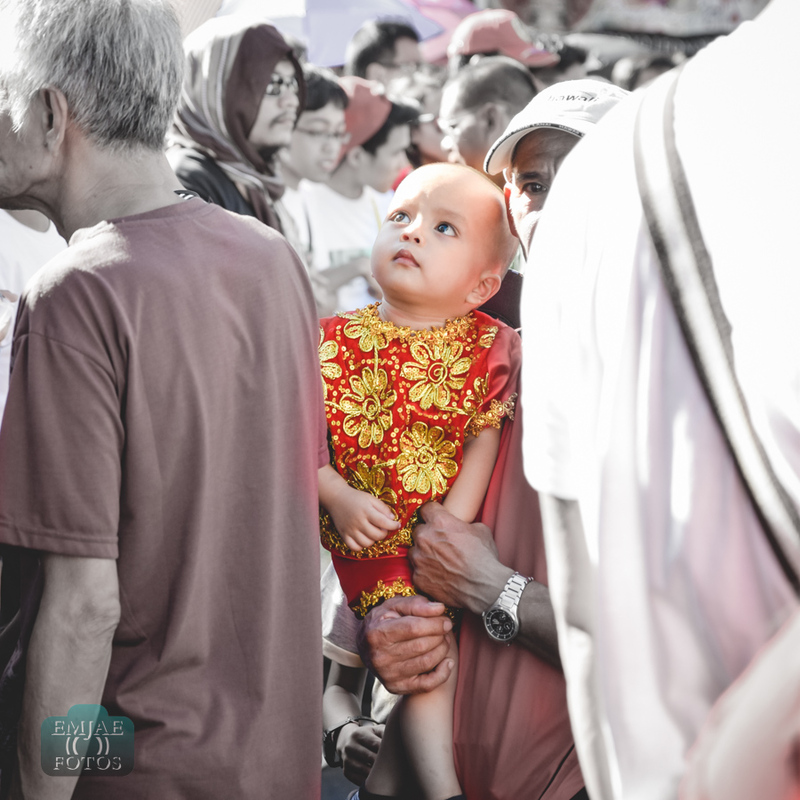 Singapore is a haven for photographers of all ages. You can see a lot of post-card-worthy and Instagrammable places and landscapes. The diversity in architecture comes from a range of influences from different places, periods and races. 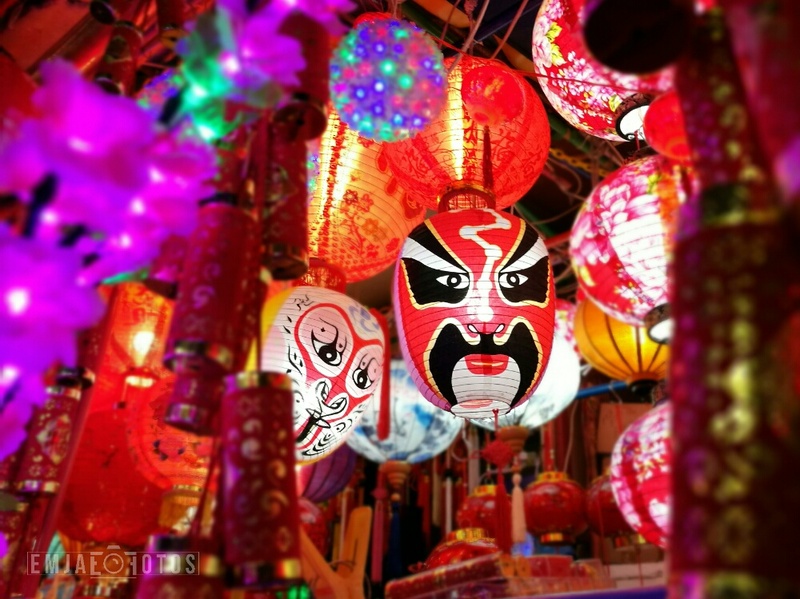 One particular culture that is easily recognizable is the Chinese ethnicity, the largest ethnic group in the country. 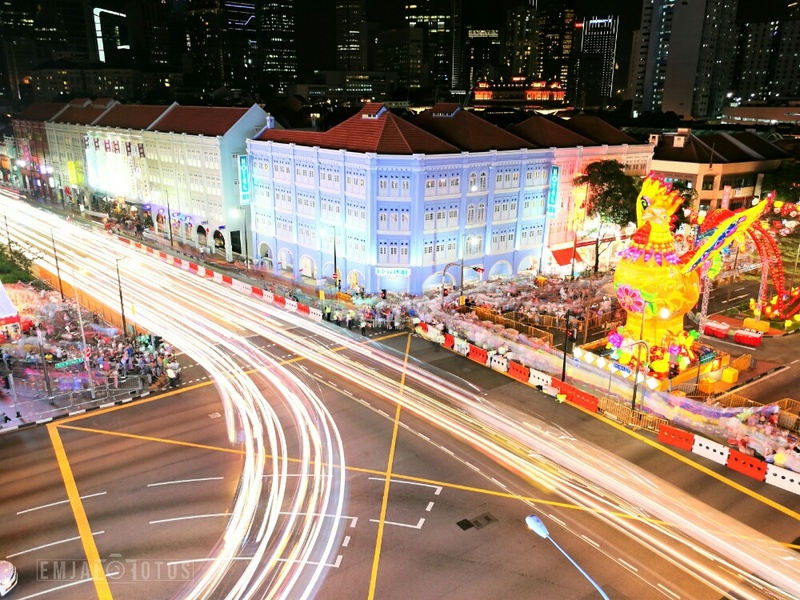 To get a glimpse of its heritage, the place to be is Singapore Chinatown. 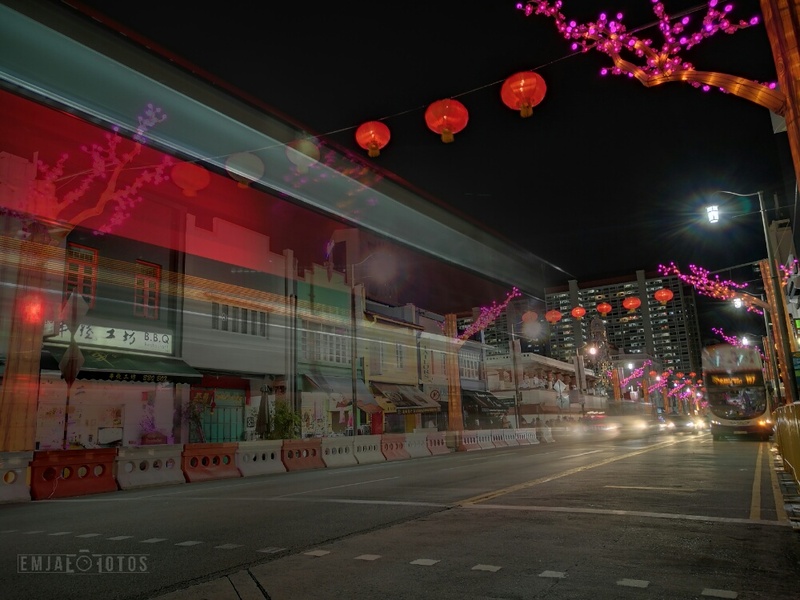 The historic Chinatown gets even more lively and colorful towards the Chinese New Year. 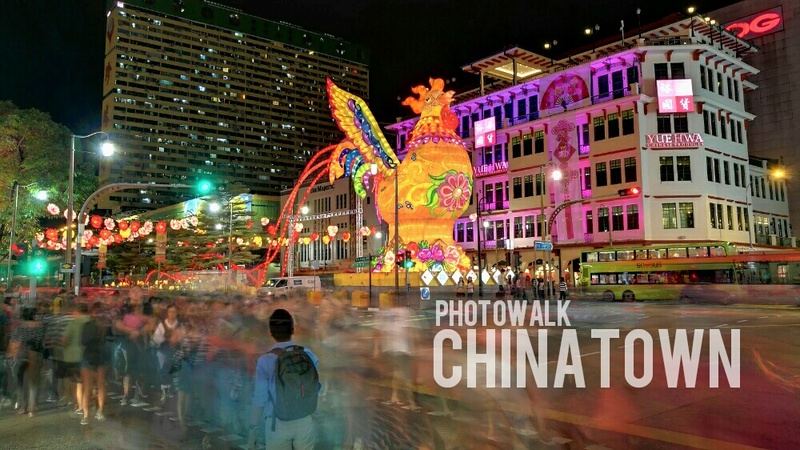 So I decided to do a photowalk since it is my first time in Chinatown and it will be the first episode of my Fotowalk Series. I did some long exposure shots using an amazing smartphone which I will talk about at the end of this post. The following photos are unedited jpegs (no post-processing) from a smartphone camera except for adding watermark and resizing to 1000×750 pixels (30% from its original size) through a mobile app Pixlr. 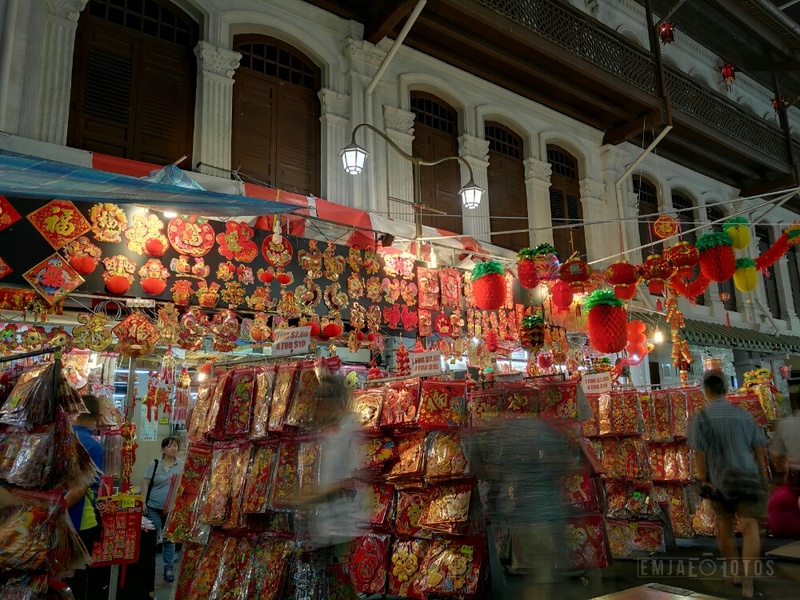 Chinatown is located in the Central Area of Singapore within the Outram district. The easiest way is to take the MRT to Chinatown station (Northeast line) and when you take Exit A, this is what you see. Voila! 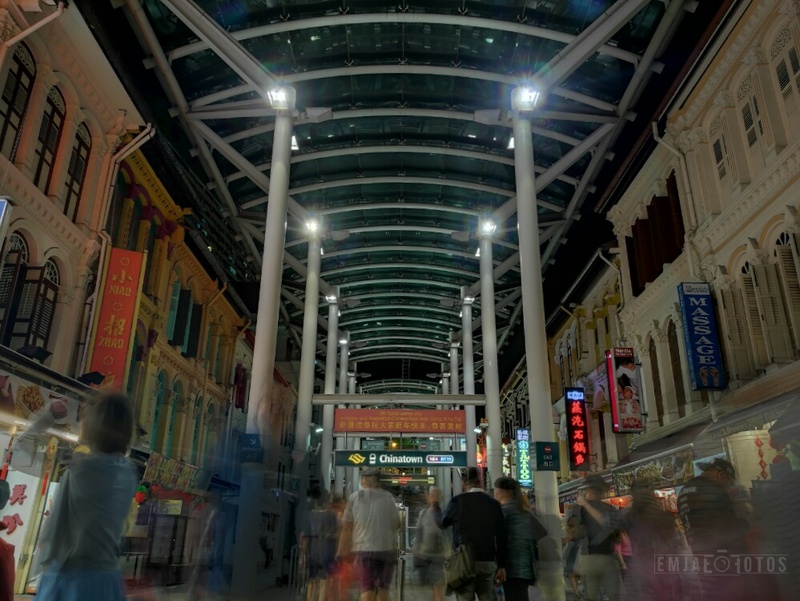 Using the Night Shot mode, you get more details from the buildings’ architecture while achieving a motion blur effect for the people passing by. 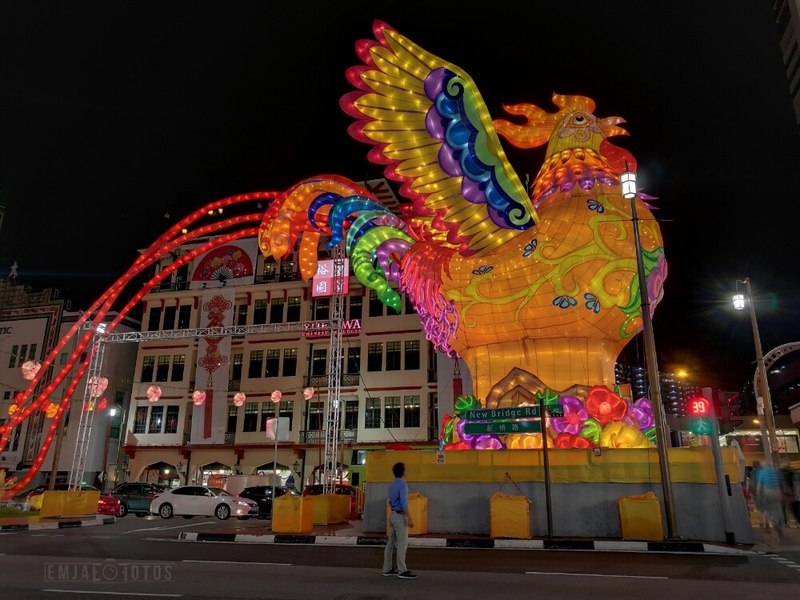 To welcome the Year of the Rooster, they have installed 5,500 handcrafted lanterns along with a 13m-tall rooster with outspread wings. 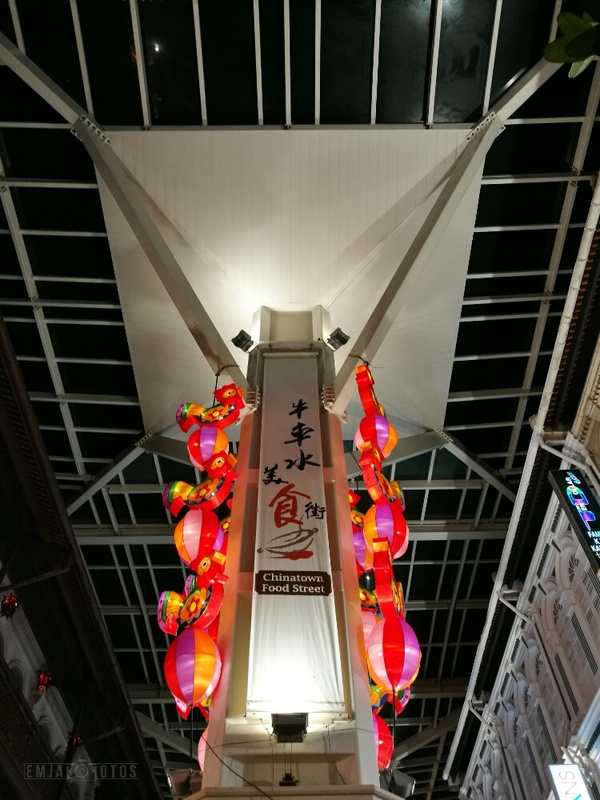 It is located at the crossroads of Upper Cross St between Eu Tong Sen St and New Bridge Rd. Woaah, this rooster is really huge up-close. Kudos to the people who hand-crafted this work of art! Next stop is the busy Temple Street where you can find a lot of goods and items. 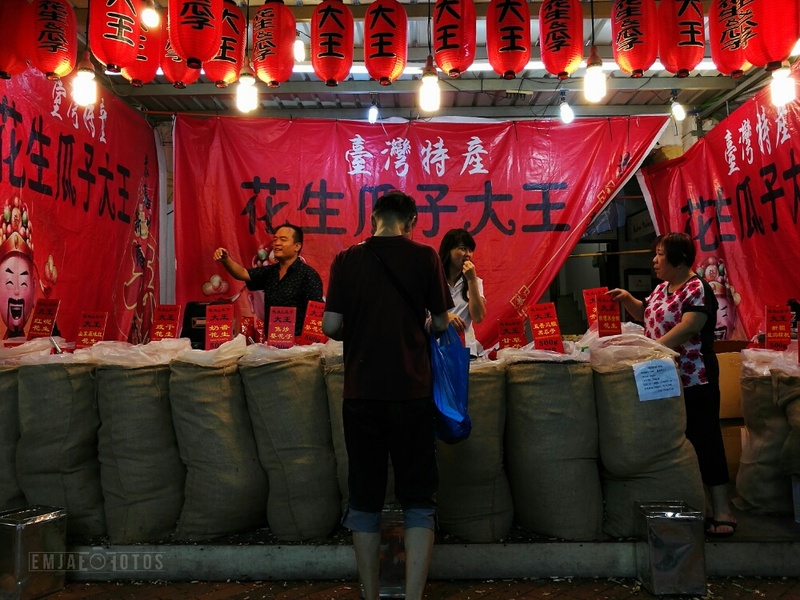 It can range from souvenirs, house decors, traditional Chinese medicine, fruits, sweets and many more. 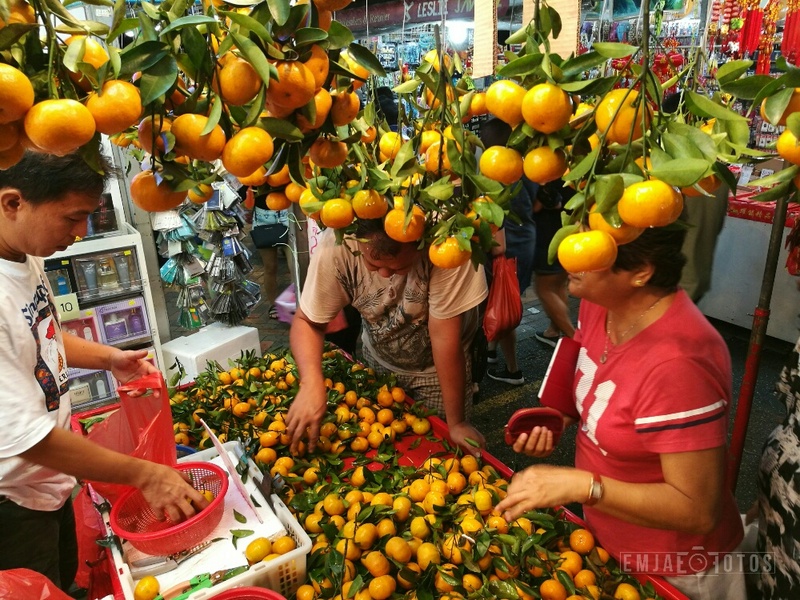 When in Chinatown, you won’t go hungry and you should not miss trying out different seafood and Chinese cuisine. 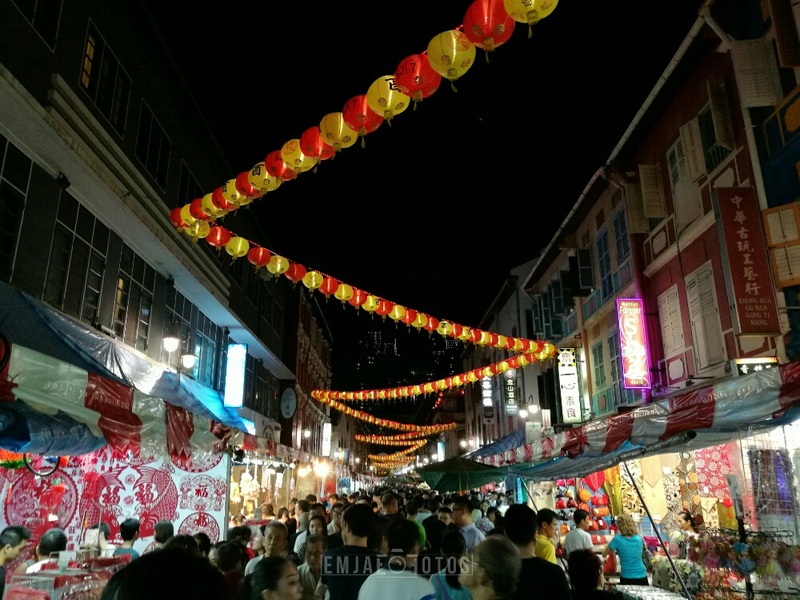 Along Smith Street is the Chinatown Food Street, a row of hawker stalls, kiosks and shophouse restaurants with a variety of dishes to try. 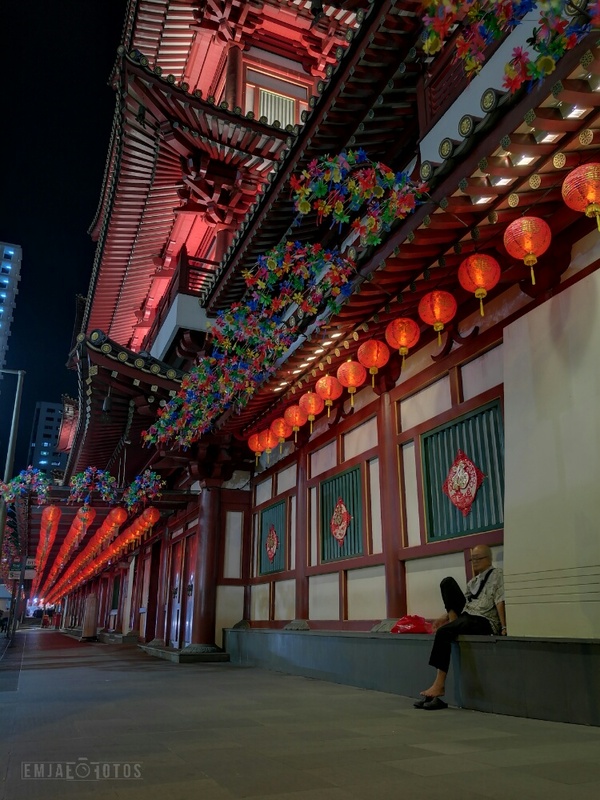 By the way, you can access free Wi-fi around Chinatown so you always stay connected. 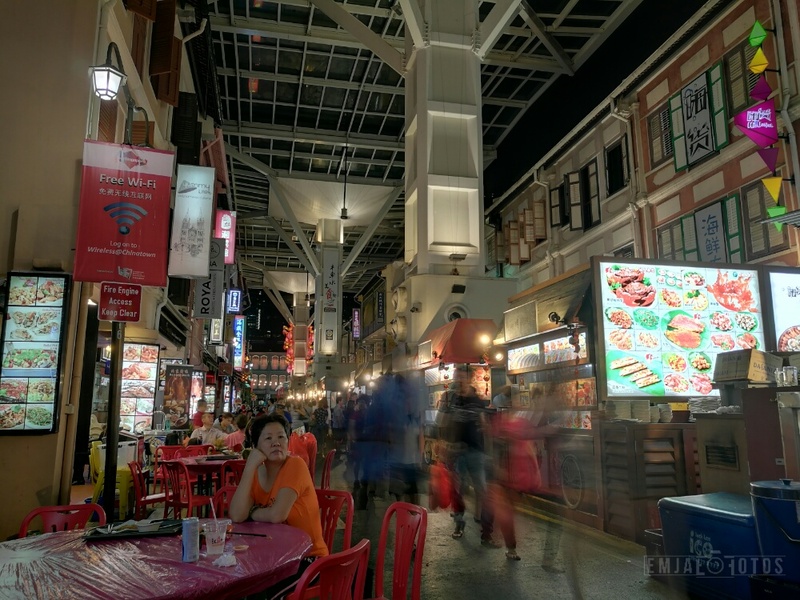 At the end of this food street is the South Bridge Road where you can see some street lights and lantern decorations. 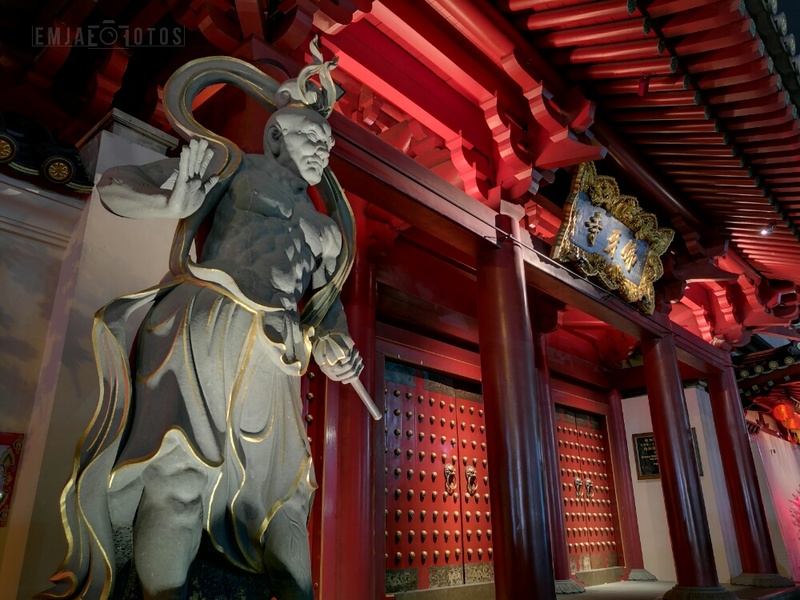 One corner away and you will find a marvelous temple and museum. 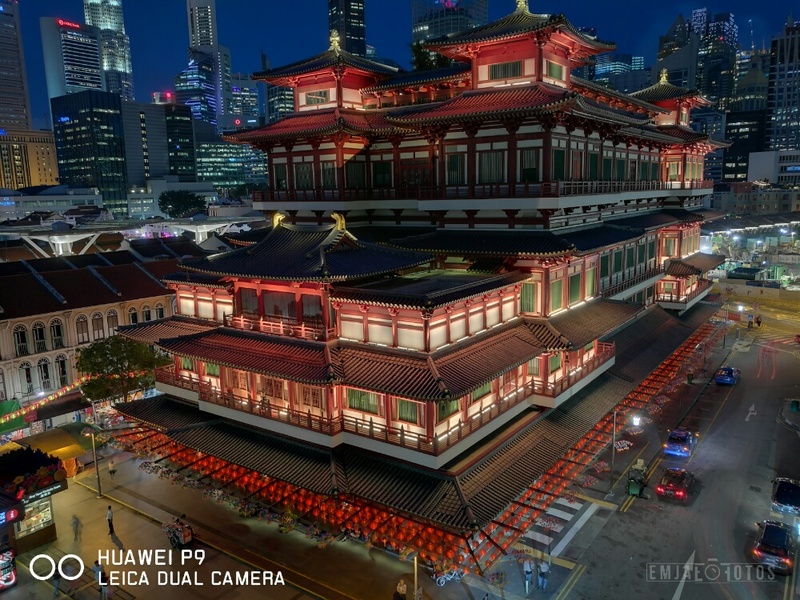 Perhaps one of the best architectural sights I have seen in Singapore Chinatown is the Buddha Tooth Relic Temple and Museum. Unfortunately it was already closed when I passed by so I’ll save it for another Fotowalk episode soon. But the exterior design itself is a thing of beauty. 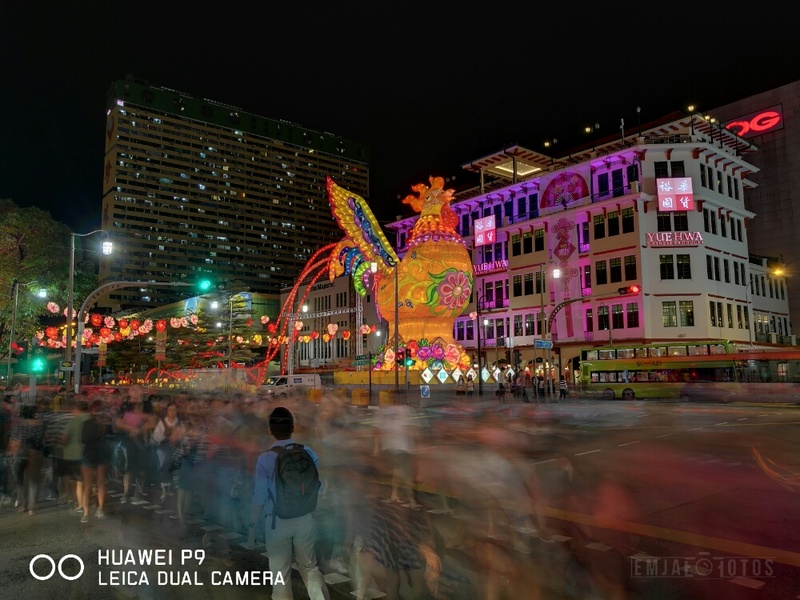 Talking about night photography on a smartphone, majority of the time you would get blurry, noisy and crappy photos by default. But when I discovered the magic brought by Huawei P9 smartphone, I was blown by it. Again, I’d like to iterate that the shots above are unedited. From here you can put a little brightness, contrast and saturation then it would result to a very stunning image. 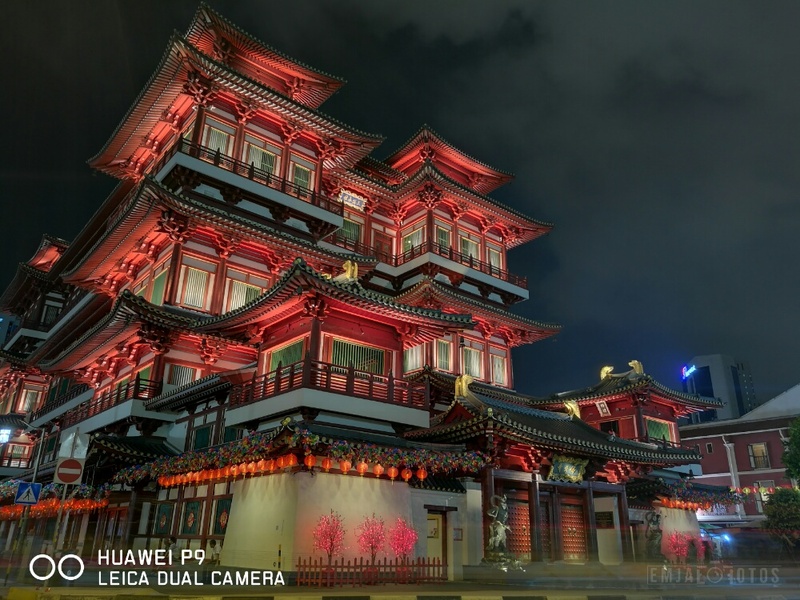 With the amount of details this amazing lens can see in the dark, you have the flexibility to enhance and manipulate your photograph with DSLR quality. Thanks to Leica. 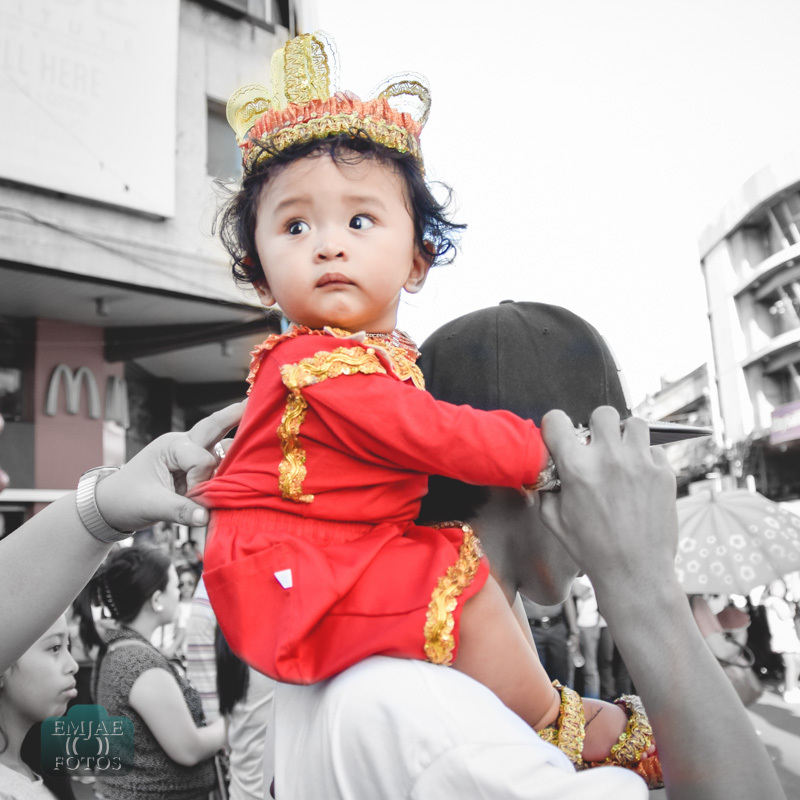 Every third Sunday of January, the streets of Cebu City are filled with the sound of drums and dancers in colorful costumes swimming into an ocean of spectators. 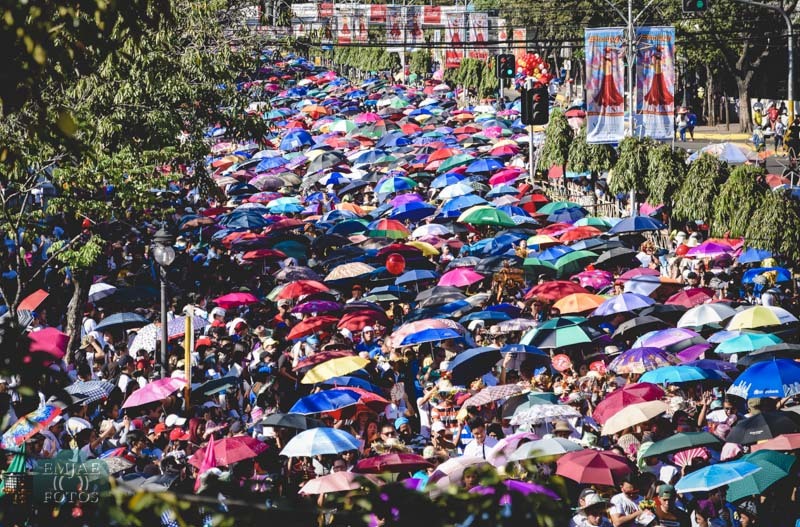 Hundreds of thousands of people participate the grand Sinulog Street Parade which is the second highlight of the festival. 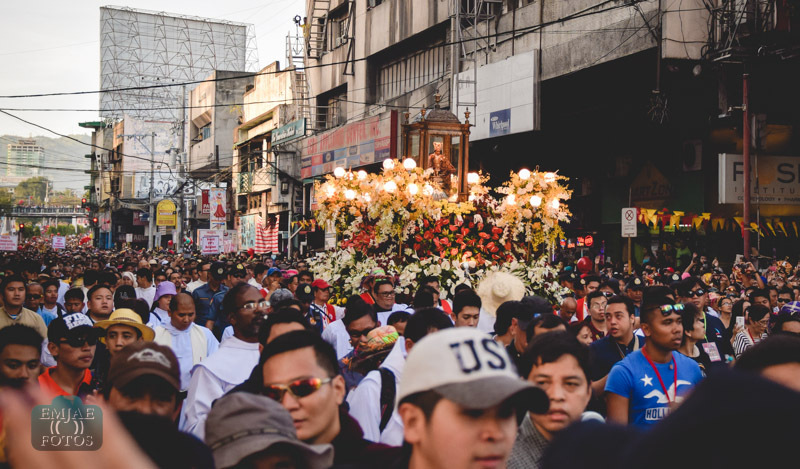 The first being the Solemn Procession held a day before. 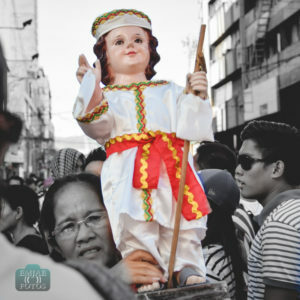 The Solemn Procession held on Saturday afternoon is attended by millions of pilgrims and devotees of the Child Jesus Sto. 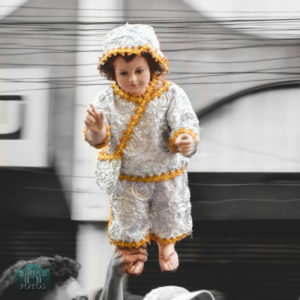 Niño. 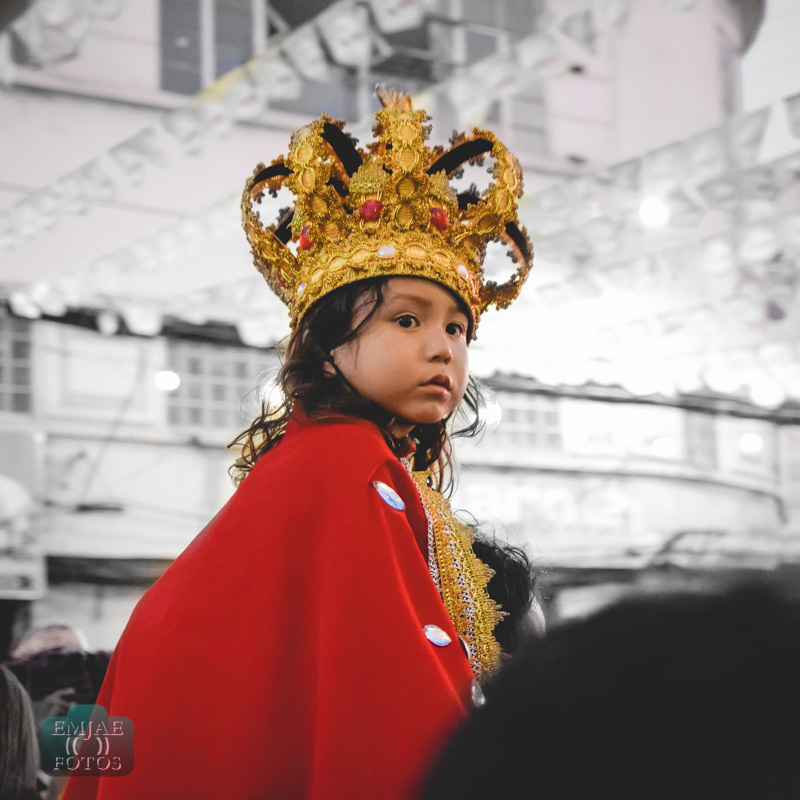 At the heart of the procession is the carroza of the image which starts and ends in the Basilica Minore del Santo Niño passing by major streets of Cebu. 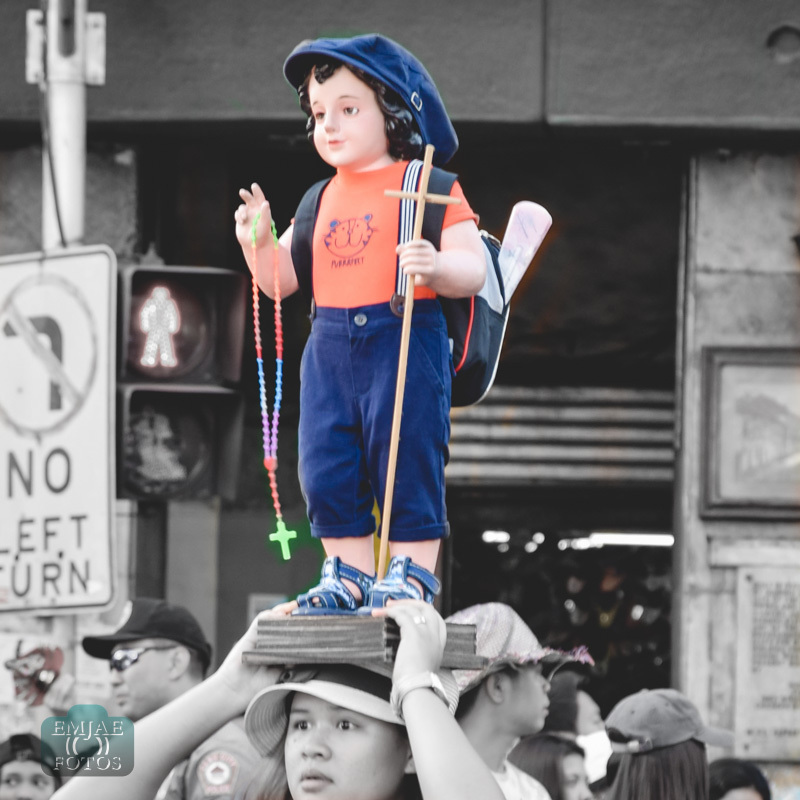 People of all ages carry their own image of the Child Jesus that come in different faces and sizes while praying the Holy Rosary. The Sto. 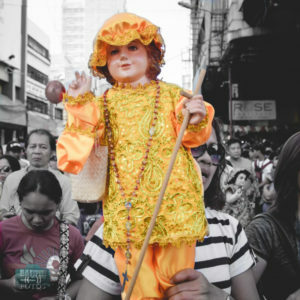 Niño is so much loved and already a part of every devotees’ household. 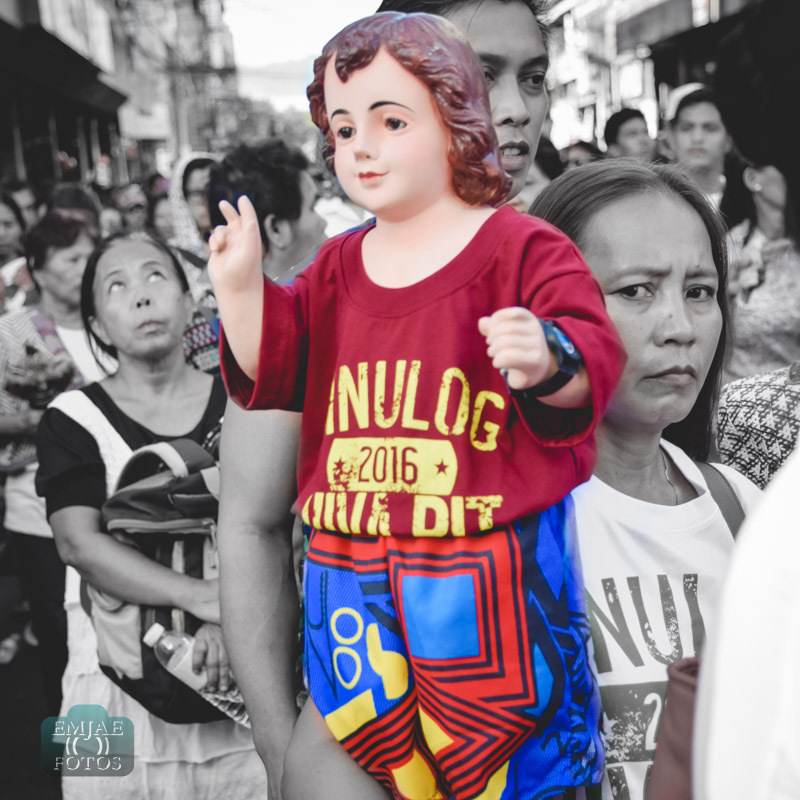 You’ll see Him dressed in a multitude of ways aside from the traditional color Red. 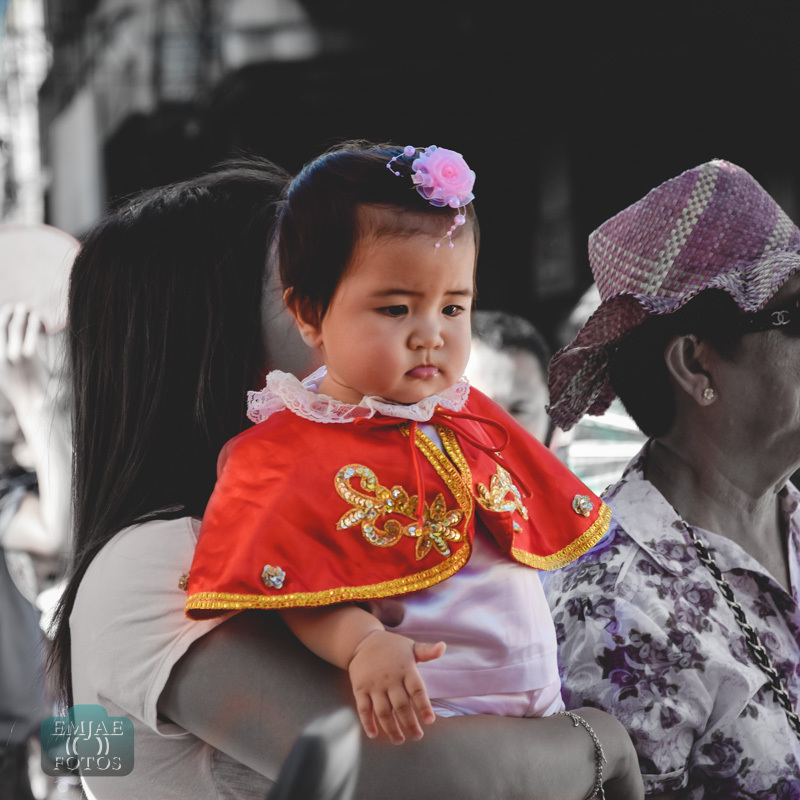 Sometimes the way they look is a reflection of the family or it can represent their intentions. For example, they say a Green one represents prosperity in business and career. 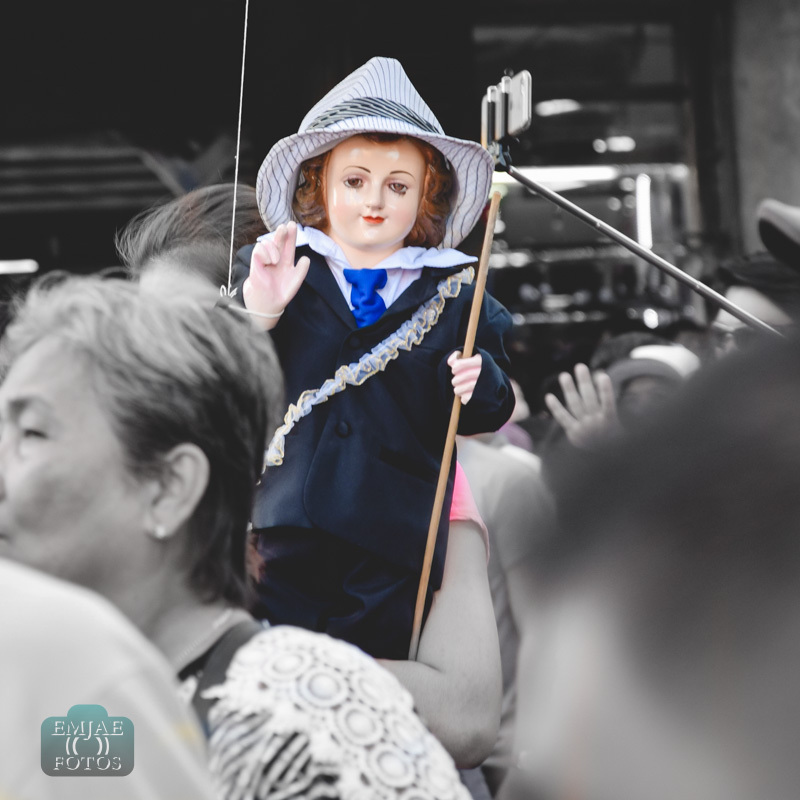 Check out the Niños you may see on Solemn Procession. 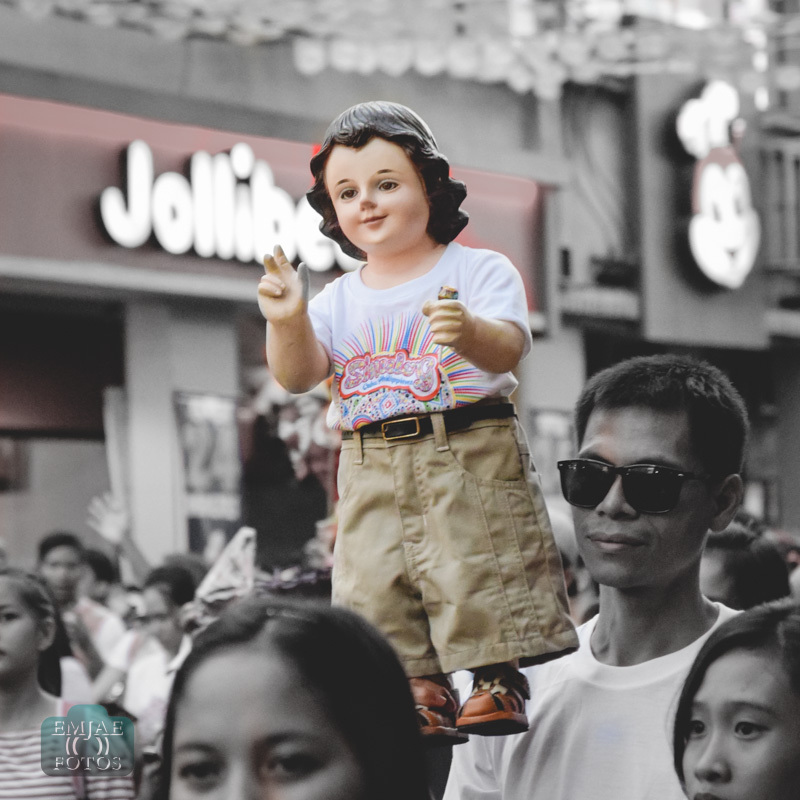 Aside from the usual majestic clothes, you’ll see Him in simple outfit. Or perhaps on something formal, like business formal. Some say if He has a bag, He is a traveler. 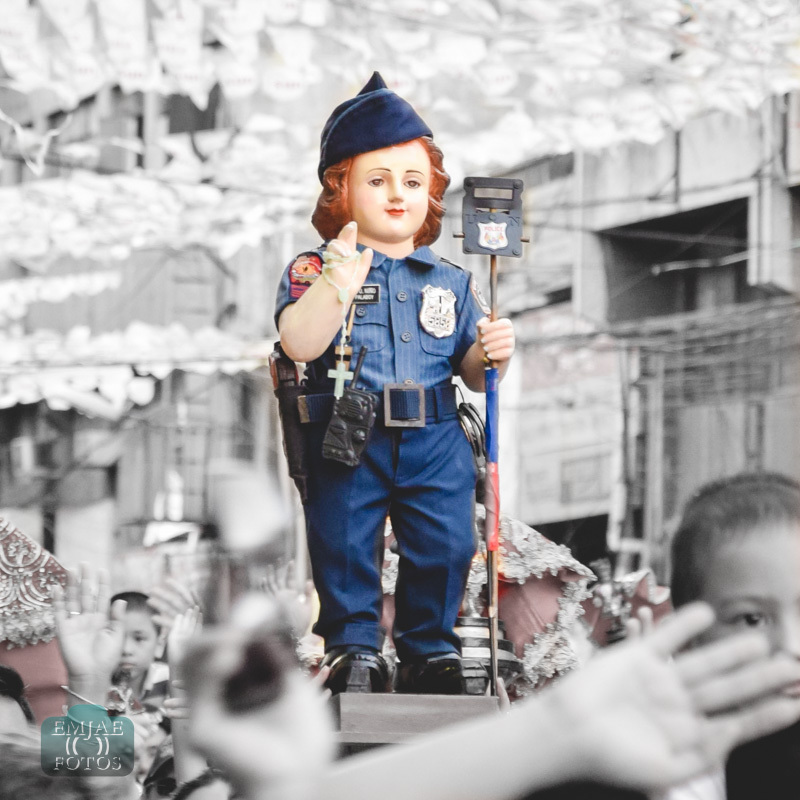 If you see Him dressed on a particular profession, it can mean a thanksgiving for the achievement or career and a prayer for guidance and protection on this field of work. It can be for their parents or family members. Or even the whole community in general. But what I love the most are the children dressed as the Sto. 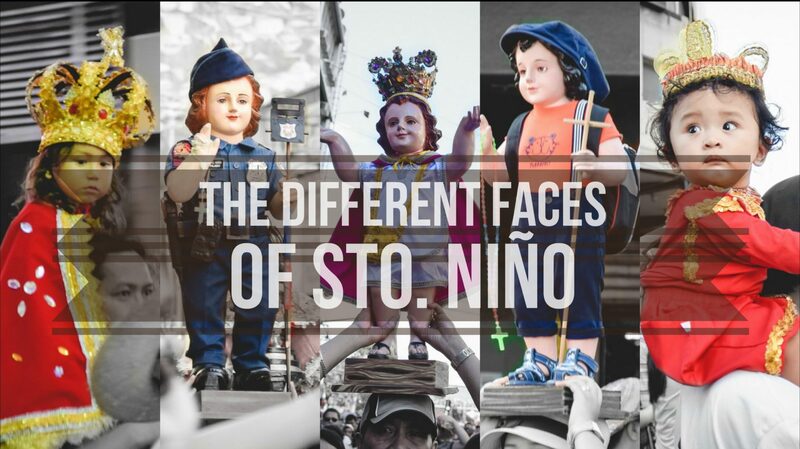 Niño. 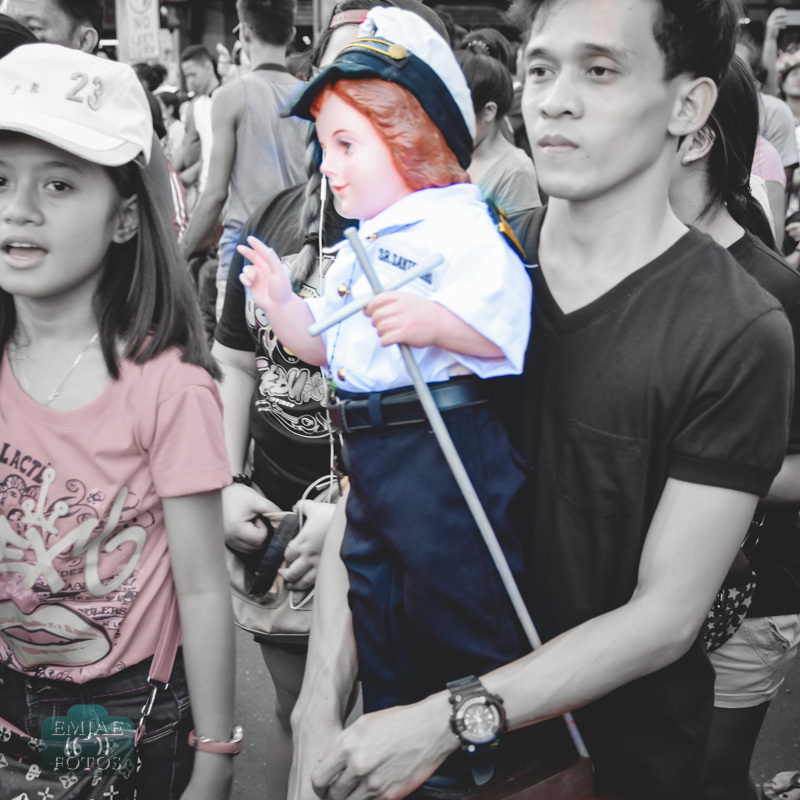 They manifest the innocence and purity of the Child King. 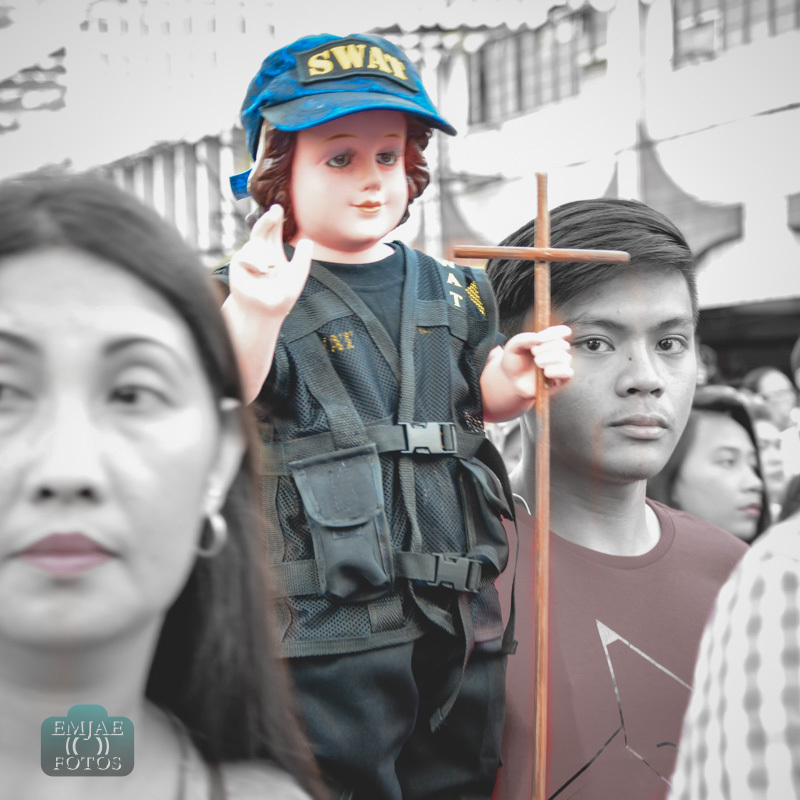 With unwavering faith to the Father. For me, this gesture is a prayer for a mantle of protection to cover their children. That they may grow and be guided by the Christian values. Pit Señor! 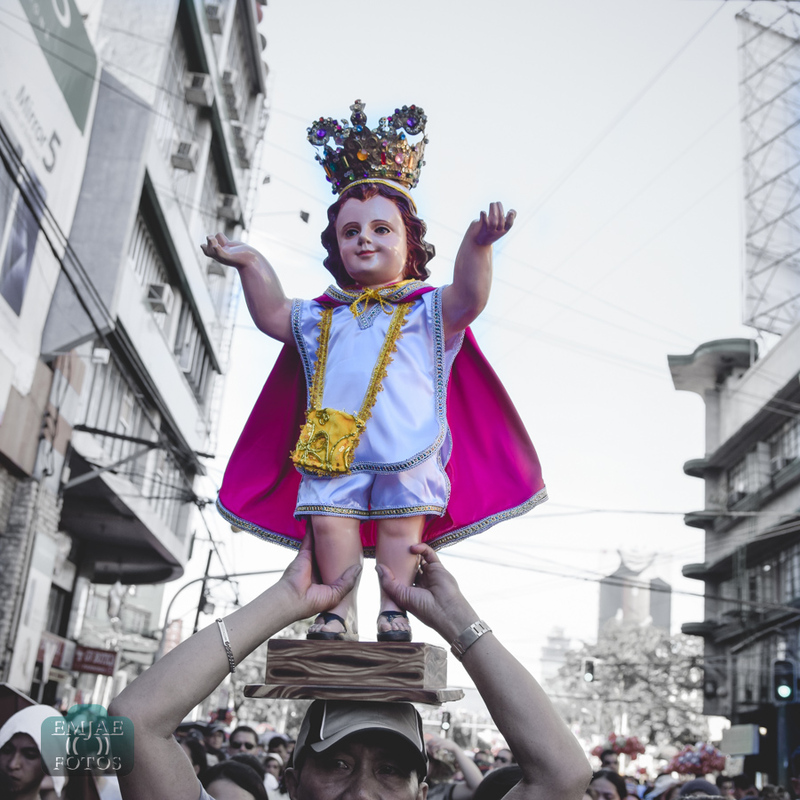 Señor Santo Niño! 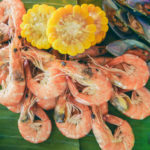 Cebuanos, well Filipinos in general, love to eat. 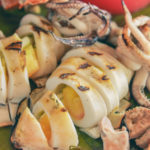 That is a fact and one of the reasons why Cebu has become a culinary melting pot in the South. Opening a food business here has high risk of a miss than a hit. Except maybe if you have a good track record such as the Parilya restaurant. 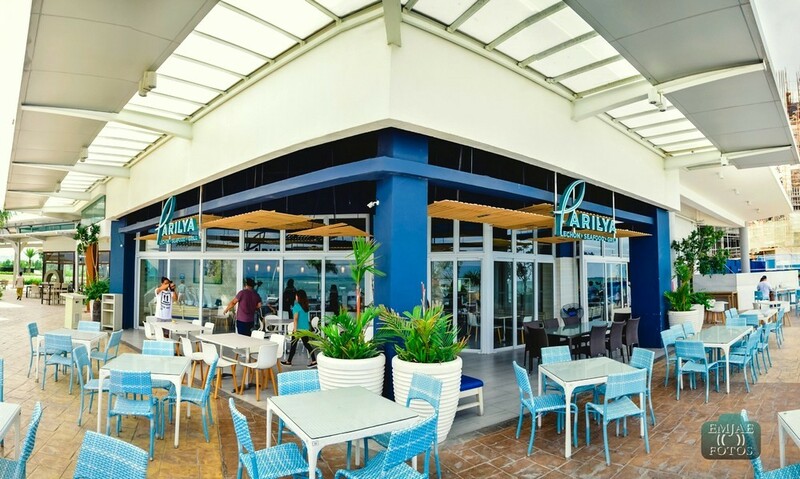 Parilya is an addition to the chain of restaurants that gave you different Filipino flavours at Café Laguna and Laguna Garden Café as well as the Thai and Vietnamese cuisine at Lemon Grass. 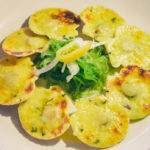 Perhaps, you’ve heard of the home-cooking style at U Kitchen or the street food flavors at Ulli’s Streets of Asia. 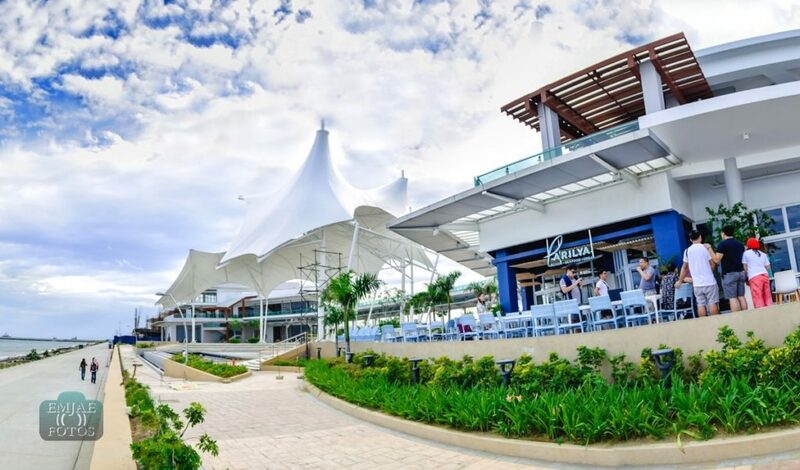 It is the sixth restaurant owned by the Urbina family’s Laguna Group which has been proven and tested in the food industry. The name Parilya is a Spanish word for “sugbaan” which means grill. 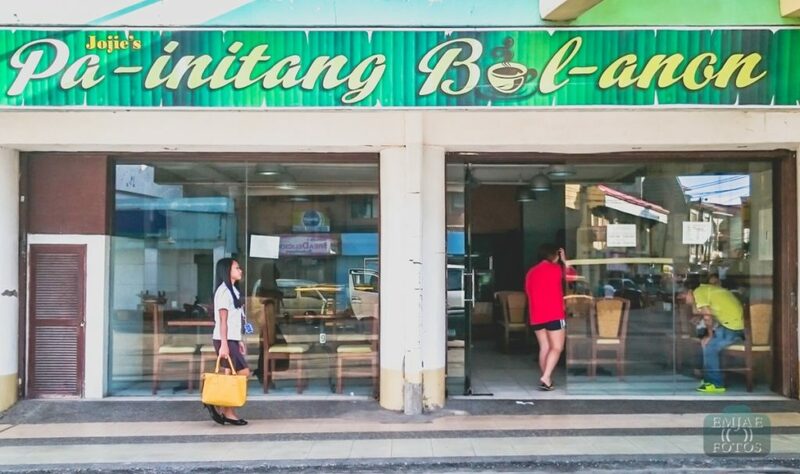 It will serve the distinct flavors of Cebu and all-time Filipino favorites. Parilya, one of the Laguna Group restaurants. 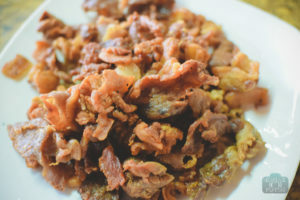 These are most likely the dishes that sums up Cebu gastronomically. 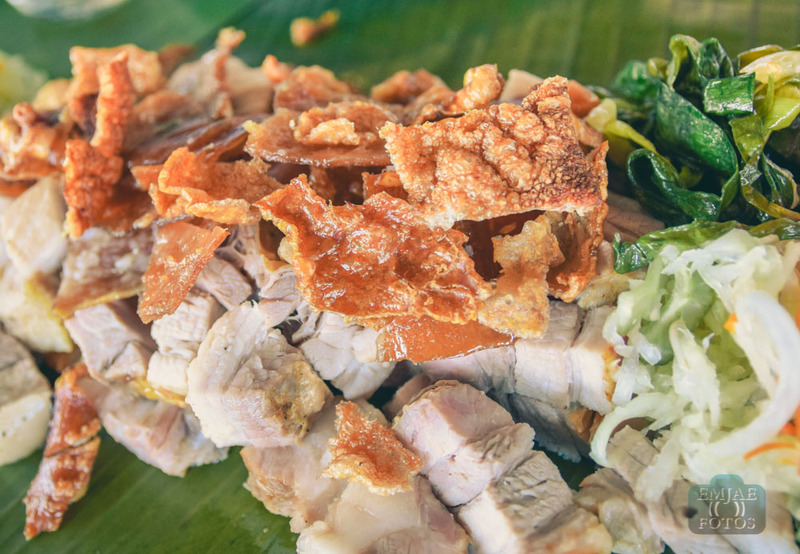 Lechon is almost synonymous to Cebu so it’s a must to try their version of crispy skin and juicy meat lechon. Pair that with atsara or dip in spicy vinegar and you’re in for a great meal. 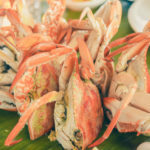 If you want to skip the lechon, then there are lots of seafood and grilled dishes to try. You can also have some pork and chicken choices as well as side dishes. 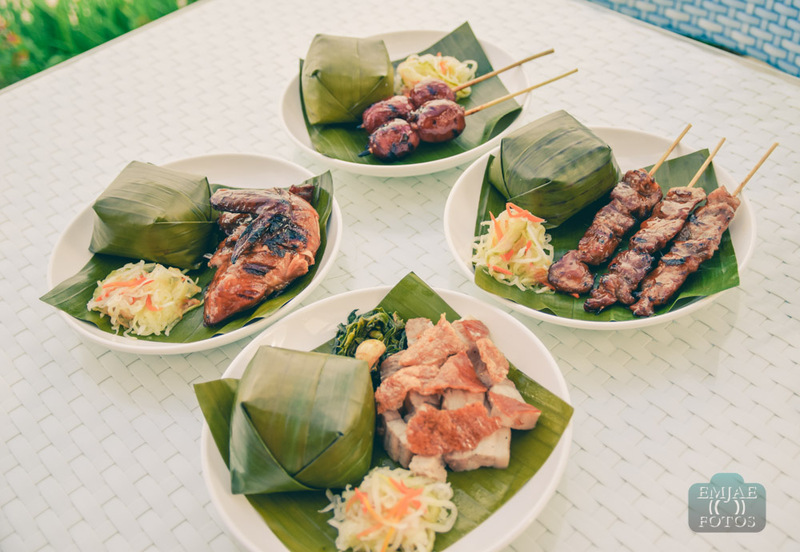 You can also try their Combo meals such as the Lechon Combo, Chorizo Combo, Chicken BBQ Combo and Pork BBQ Combo that comes with rice and atsara. 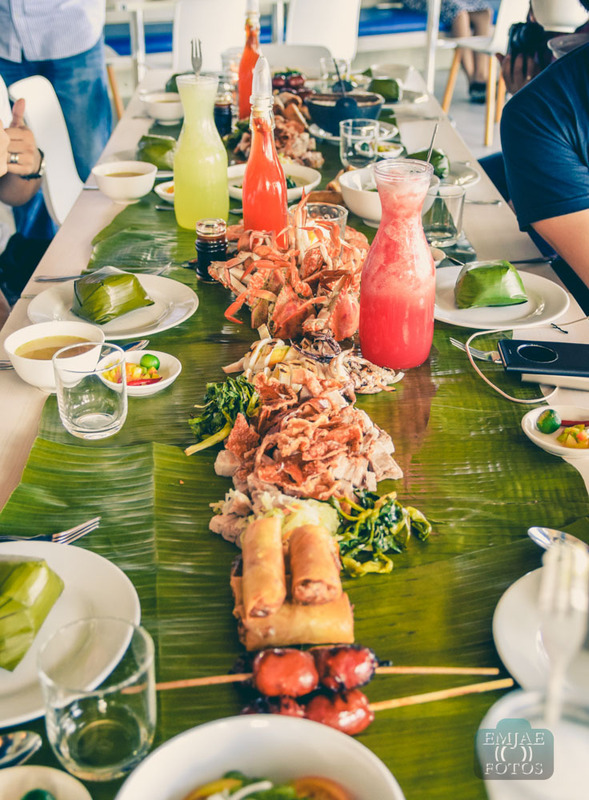 If you want to have it all, try Parilya’s version of boodle fight called Habhab. For a price of Php650.00 per head, you can have lechon, a wide variety of dishes, drinks and more in a long table. 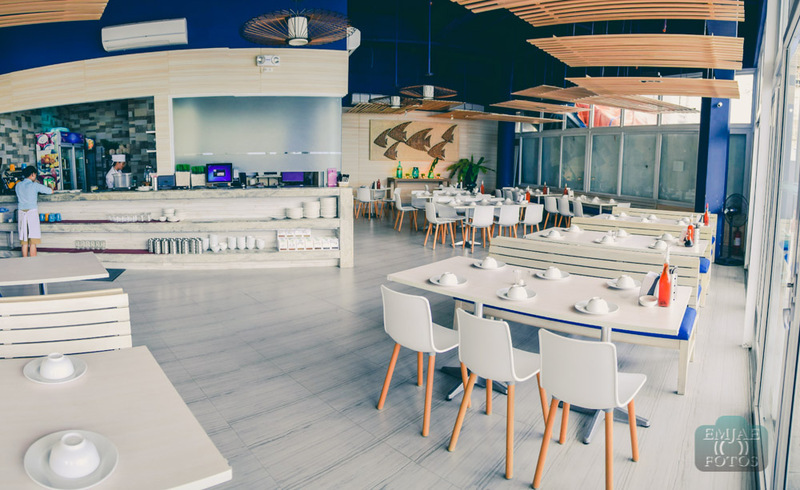 Habhab is available for lunch and dinner but take note that you need to pre-book or arrange this in advance. A wonderful meal is best capped with a dessert. 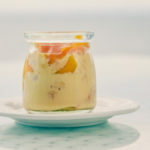 One of the must-try is the Mango Otap, an original creation of Jan Urbina of Parilya. 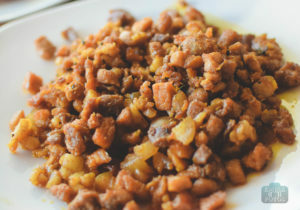 It’s a combination of 2 of the famous Cebu delicacies. It’s another place to take the gang for a hang-out. You can choose to dine indoor or outdoor separated only by glass doors which accommodates up to 220 guests. 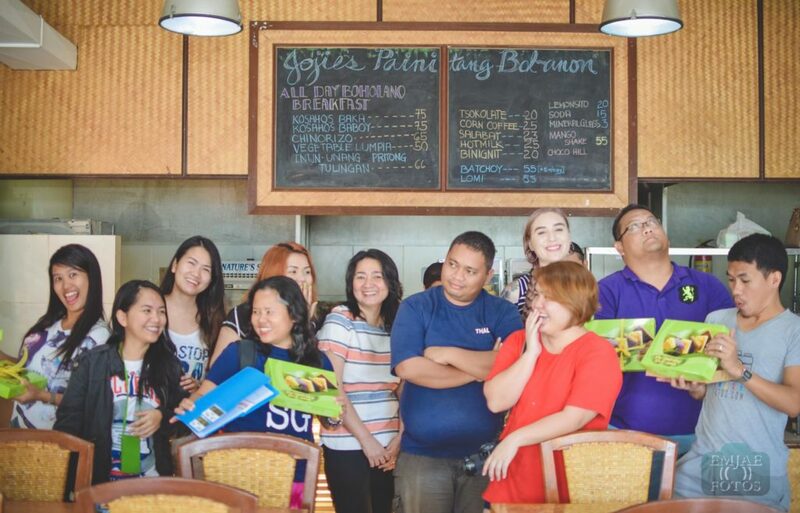 They can customize the place to host special occasions like birthdays and group events. Indoor ambiance, accommodates 100+ guests. 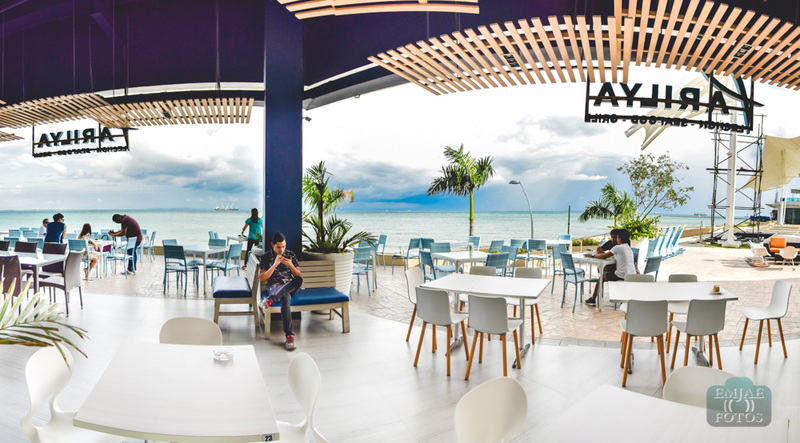 Level up your al fresco dining experience with the seaside view. 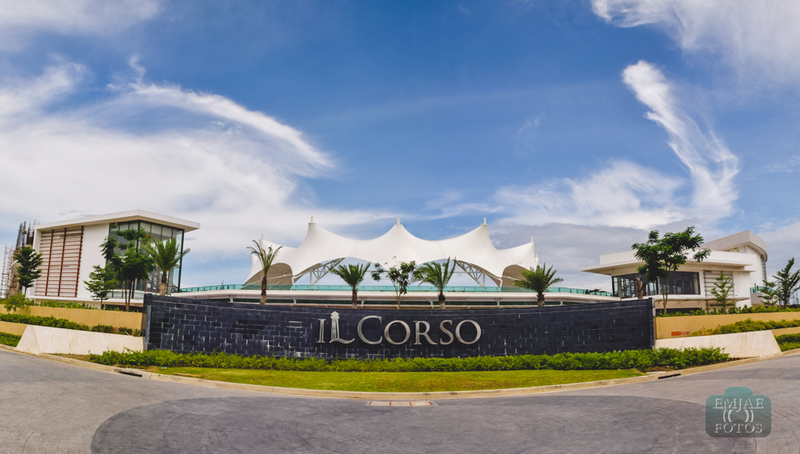 Parilya is located in front of the Central Piazza of Il Corso facing the sea. 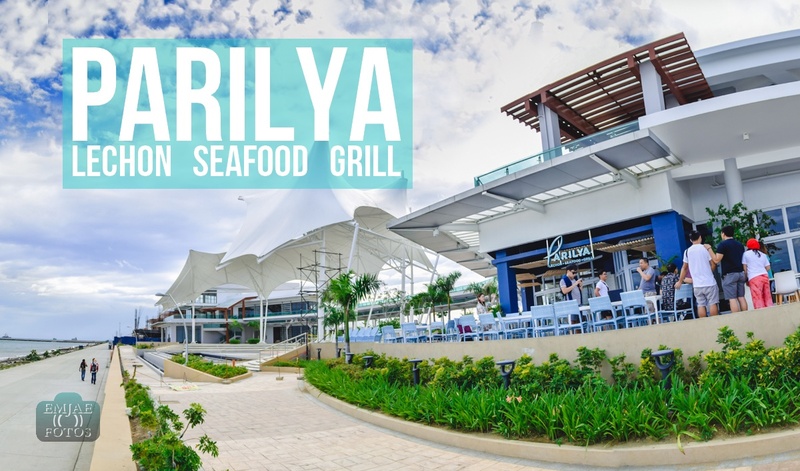 Dining here will give you front row seats to the ocean view as well as the wonderful amphitheater that will be hosting special events. This may be the number 1 reason that will make you comeback for more. 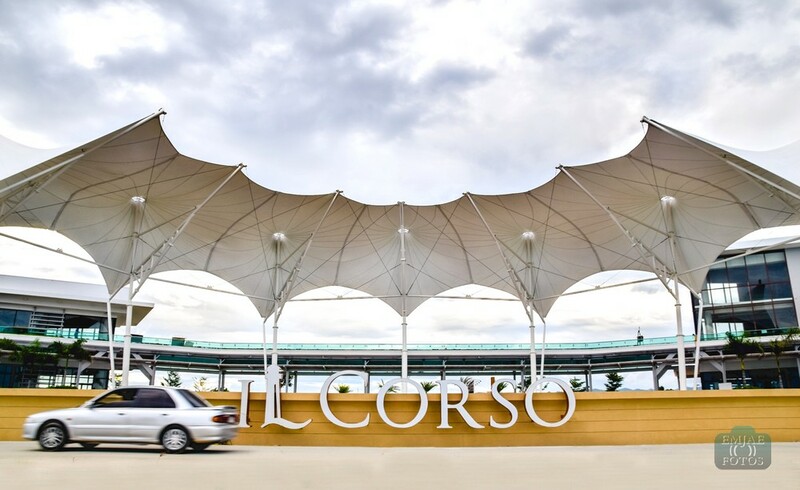 If you want to escape the bustling city without going far away then IL Corso at City di Mare is the place for you. Soon this place will become the next shopping, dining and recreational hub at the South Road Properties. For reservations, contact 511-8832 or fill in reservation form. Bohol is one of the few provinces in the Philippines with very rich cultural and historical heritage. 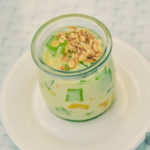 Up to now, you can experience the traditions being passed and that includes the culinary practices. 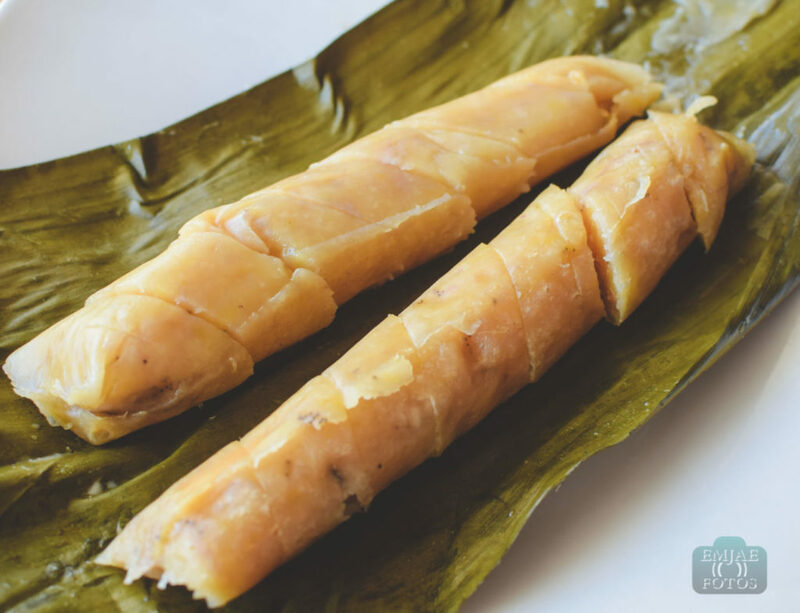 When in Bohol, you should not miss trying their delicacies and bringing home pasalubong. 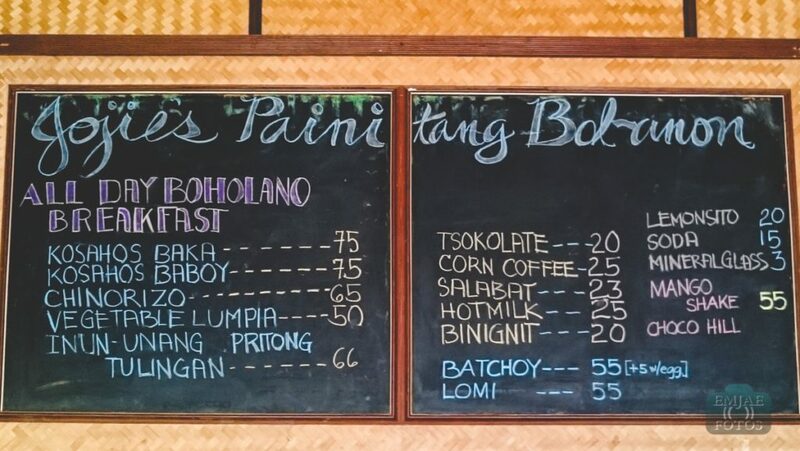 Try Jojie’s Painitang Bol-anon. 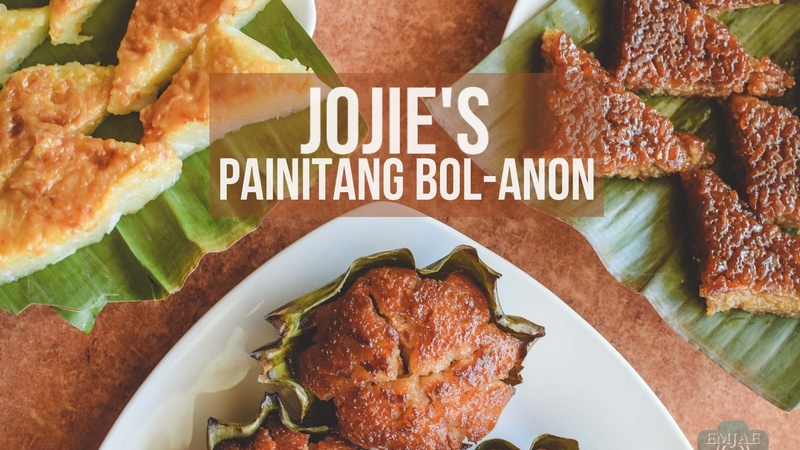 Jojie’s Painitang Bol-anon is known for serving delicious kakanin which are mostly sweet creations using malagkit (glutinous rice) as main ingredient. 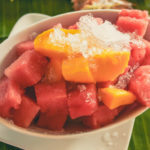 The word “pa-init” is commonly used to refer to snacktime thus these items are the most common native snack options in the Philippines. It was our last stop for the Seas The Day Bohol Tour. Since our return trip was scheduled late in the morning, we got to try their breakfast offers. Yes, they also serve breakfast meals. 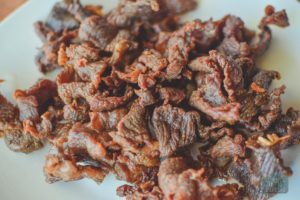 We had Kusahos Baboy, Chinorizo and Kusahos Baka. These are like the alternatives to bacon and usually served with egg (sunny-side up style). 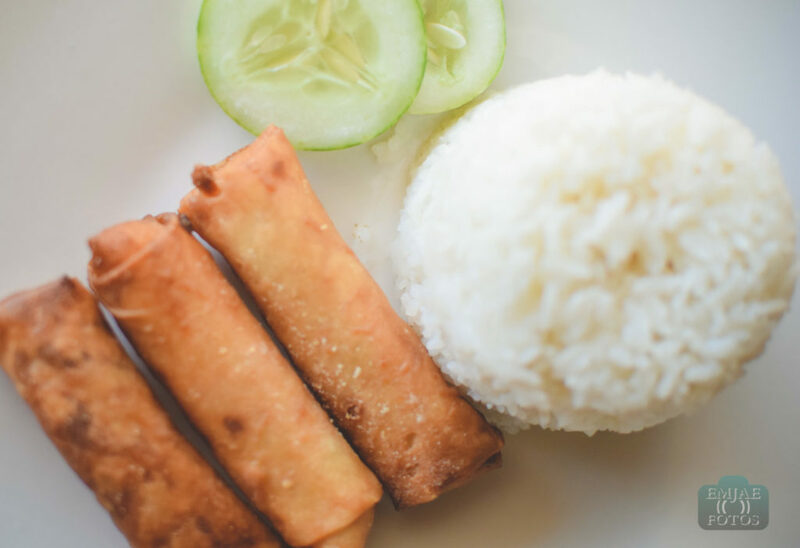 We also had their Inun-unang Pritong Tulingan and Vegetable Lumpia. 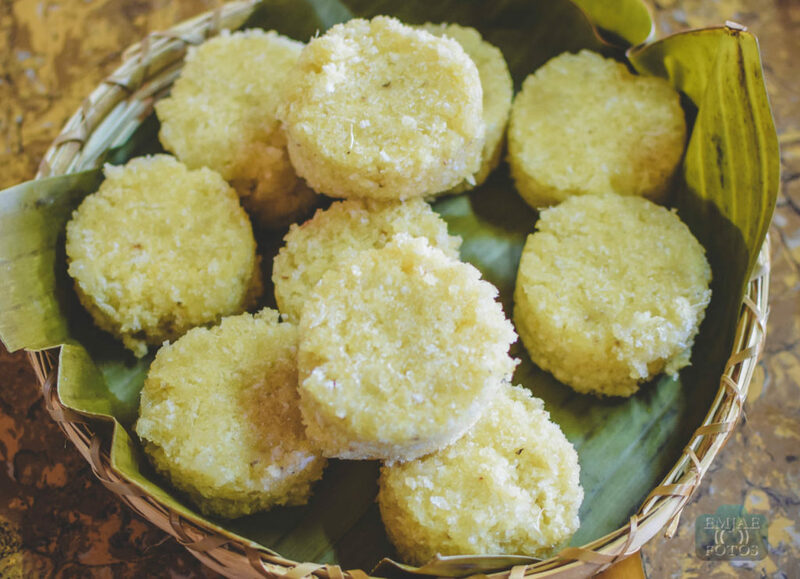 They serve a wide variety of kakanin and native delicacies. 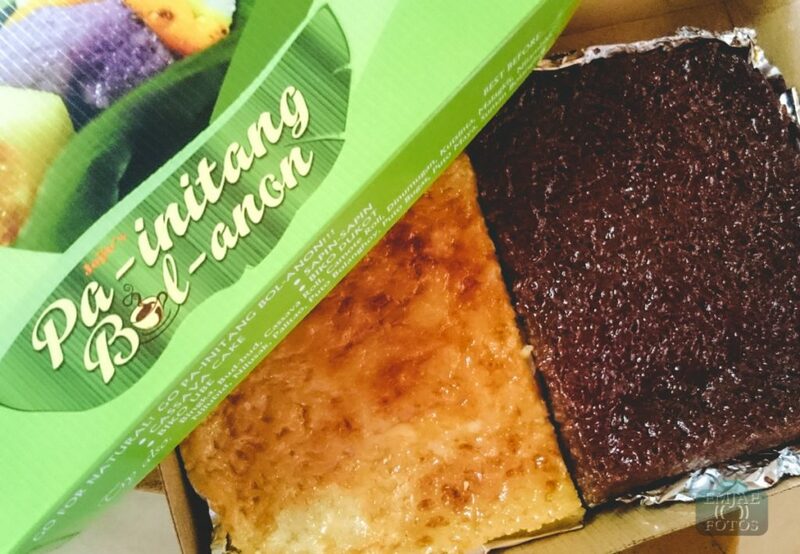 We got to try a few of them such as the Dinumugan, Cassava Cake, Biko Dukot and Bibingka Bohol. These food really brings back a lot of childhood memories. 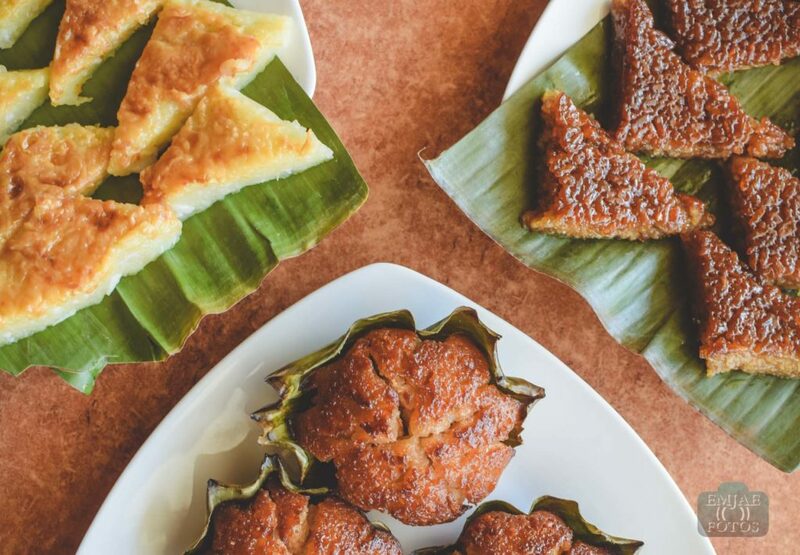 One of my all-time favorite is the Cassava Cake. This was always present in my birthday when I was a kid. You can take this out in a box for pasalubong. Making moments with Coca-Cola is truly an experience made more special as couples, friends and families create and share new memories, and express their feelings with the special people in their lives. 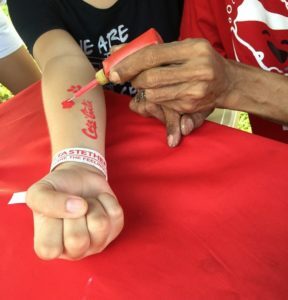 Over 5,000 teens and those young at heart gathered at Cebu IT Park last June 23 for the Coca-Cola Taste the Feeling Festival, featuring the new Coca-Cola Emoticon Bottles. 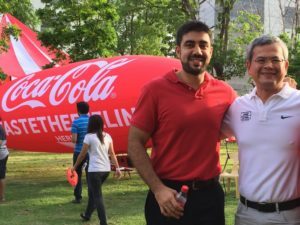 There is no stopping Coca-Cola in reaching hearts and sharing feelings of excitement and happiness as the world-renowned beverage company visits the Queen City of the South – Cebu! 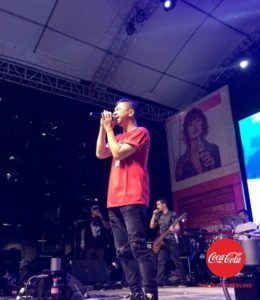 If you were not aware of this event, here are 5 things you have missed during the Coca-cola Taste The Feeling Festival in Cebu. 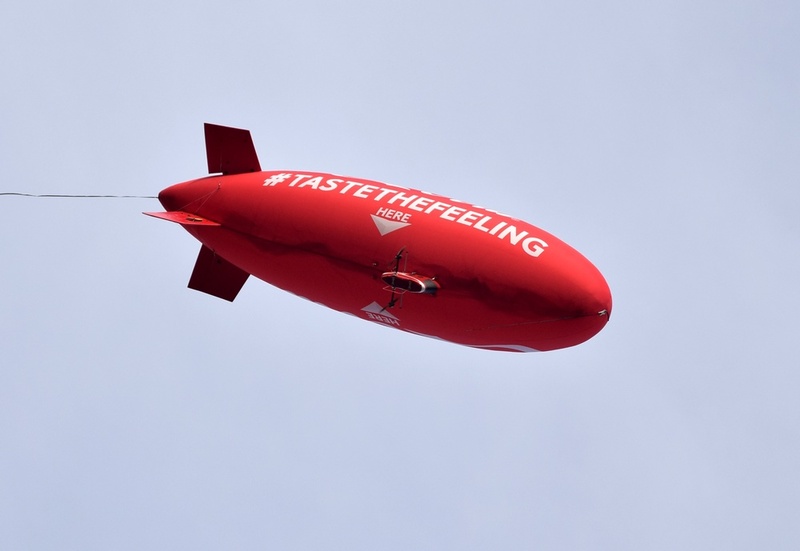 One of the first things you will notice during the event was the floating “airship” called blimp flying above the area with the huge hashtag #TASTETHEFEELING. This balloon-like thing was a joy to watch that gave spectators from afar a reason to come and join the festival. #TasteTheFeeling blimp hovering above the area. With the power of emoticons, Coca-Cola gave everyone a fun and creative way to share their feelings using Coke Emoticons. 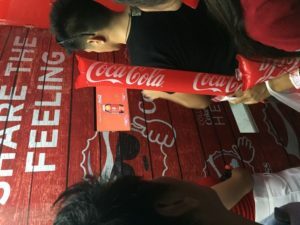 Guests were offered a chance to express their feelings through personalizing the looks of the emoticons on their Coca-Cola bottles at the venue’s Share a Feeling booth, and through other available interactive booths that evoked fun, kilig, cool, gigil, and many more. Thousands of moments were captured in the digital interactive photo booths that allowed guests to pose with their squad and choose different “feel-ters” to edit their shots. They also got to feel creative at the coloring wall and feel wild with the free temporary tattoos and face paints. Feeling hippie. Someone got creative as she designed her colorful fake tattoo during the festival. 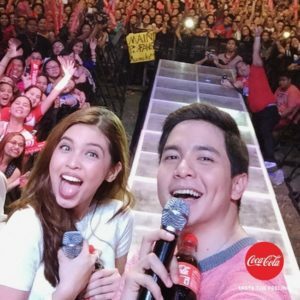 Coca-Cola Ambassadors Alden Richards and Maine Mendoza filled the event with fun and kilig as they joined the crowd in celebrating the festival. The crowd went wild when Alden rendered a song with matching pa-cute pose while Maine set the stage on fire as she gave an energetic dance number. 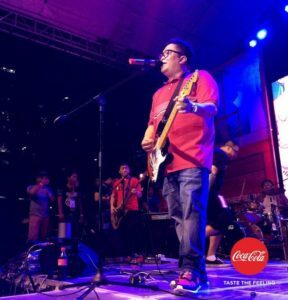 Teens, along with their family and friends, sang to the music of some of the well-loved bands of today such as Itchyworms and Rocksteddy, and partied on ‘til late with Dj Tom Taus. 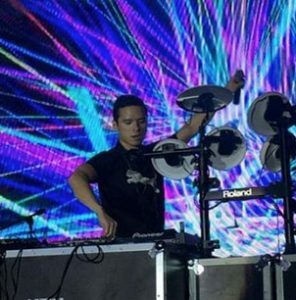 Party till dawn with DJ Tom Taus and his electric beats! 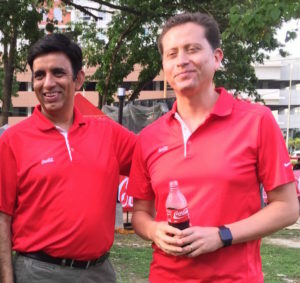 “For us here at Coca-Cola, the simple pleasure of drinking and enjoying a bottle of Coke is always an experience. 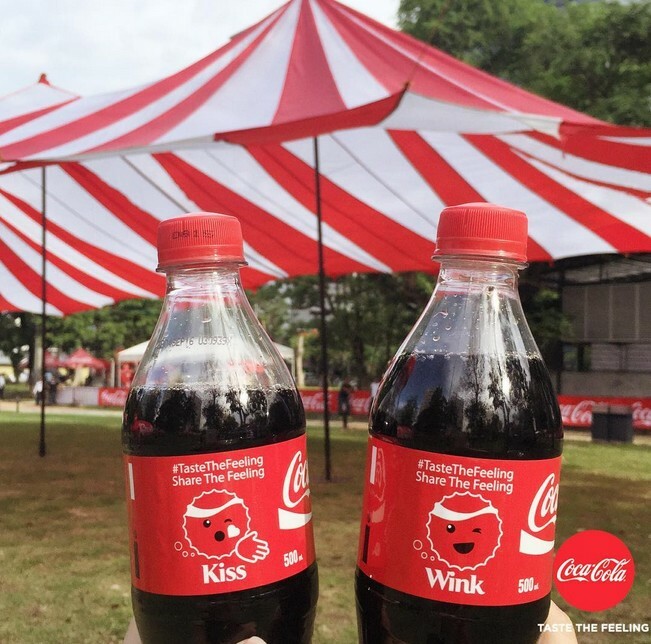 Today, we bring that experience to life by creating even more special moments with everyone through a one-of-a-kind, exciting Taste the Feeling Festival full of fun activities, music, feels, and of course, Coca-Cola emoticon bottles. 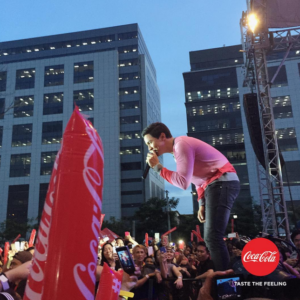 With Coca-Cola emoticon bottles, there is always a sure way to communicate, start a conversation and share a feeling with a crush, a friend, a loved one”, shared Diego Granizo, President and General Manager of Coca-Cola Philippines. Personalize your Coca-Cola Emoticon bottles and start sharing your feelings. 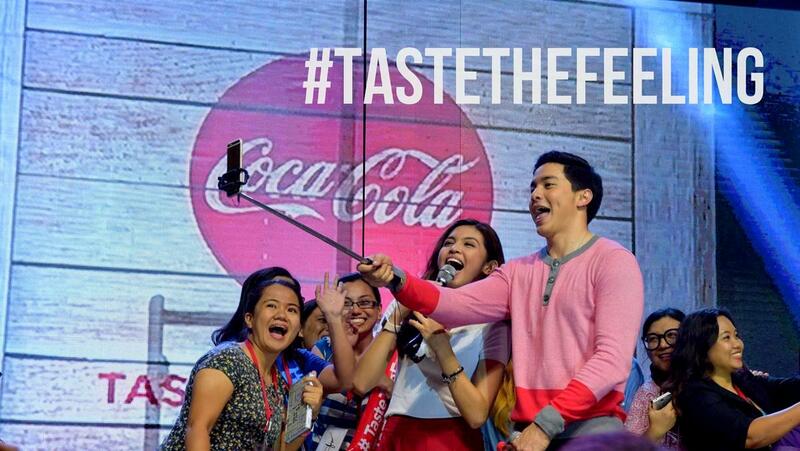 Check out the official Facebook page of Coca-Cola Philippines for the full mechanics and schedule of the Share the Feeling booth. 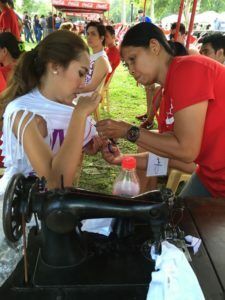 You can also express yourselves more creatively using Coca-Cola Emoticon bottles available in stores and supermarkets nationwide or by downloading the free Coca-Cola emoticons available on Viber.